Researchers from MIT’s Computer Science and Artificial Intelligence Laboratory and Harvard University have developed a new algorithm that could help astronomers produce the first image of a black hole. The algorithm would stitch together data collected from radio telescopes scattered around the globe, under the auspices of an international collaboration called the Event Horizon Telescope. The project seeks, essentially, to turn the entire planet into a large radio telescope dish. “A black hole is very, very far away and very compact,” Bouman says. “It’s equivalent to taking an image of a grapefruit on the moon, but with a radio telescope. To image something this small means that we would need a telescope with a 10,000-kilometer diameter, which is not practical, because the diameter of the Earth is not even 13,000 kilometers.”. 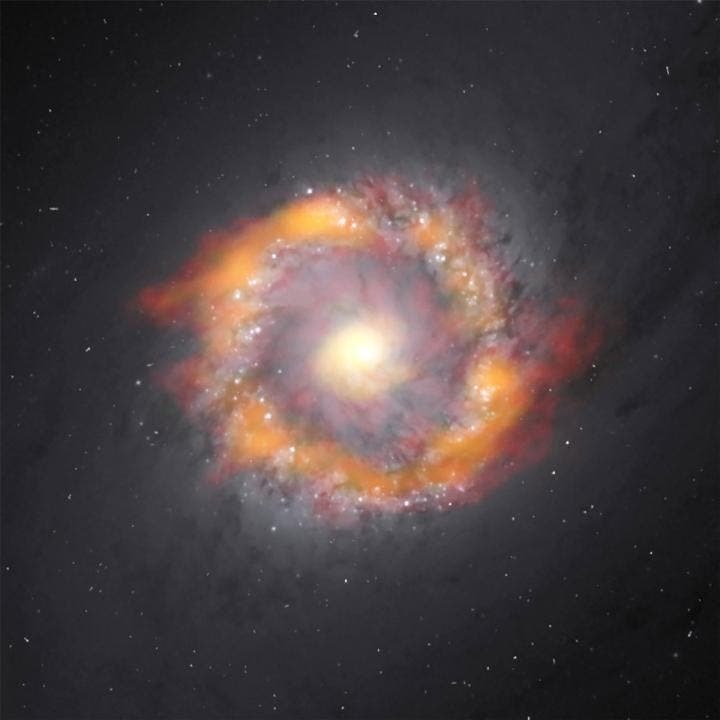 In a proof-of-concept observation shown at the top of the page, astronomers using the Atacama Large Millimeter/submillimeter Array (ALMA) have measured the mass of the supermassive black hole at the center of NGC 1097 — a barred spiral galaxy located approximately 45 million light-years away in the direction of the constellation Fornax. The researchers determined that this galaxy harbors a black hole 140 million times more massive than our Sun. In comparison, the black hole at the center of the Milky Way is a lightweight, with a mass of just a few million times that of our Sun. The image above is a composite of the barred spiral galaxy NGC 1097. The ALMA data is in red (HCO+) and green/orange (HCN) superimposed on an optical image taken by the Hubble Space Telescope.